Road To Station. Games online. The Mars rover has to get to the space station and take shelter from the scorching sun. 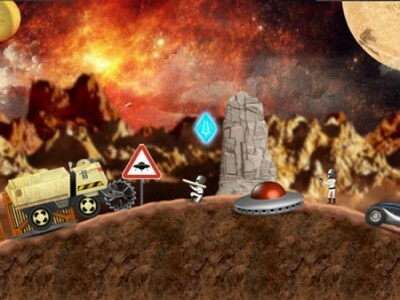 On your way you will meet UFOs and hostile soldiers, which you have to destroy. Drive carefully or you’ll have to start the level from the beginning. Good luck!